The Forest. 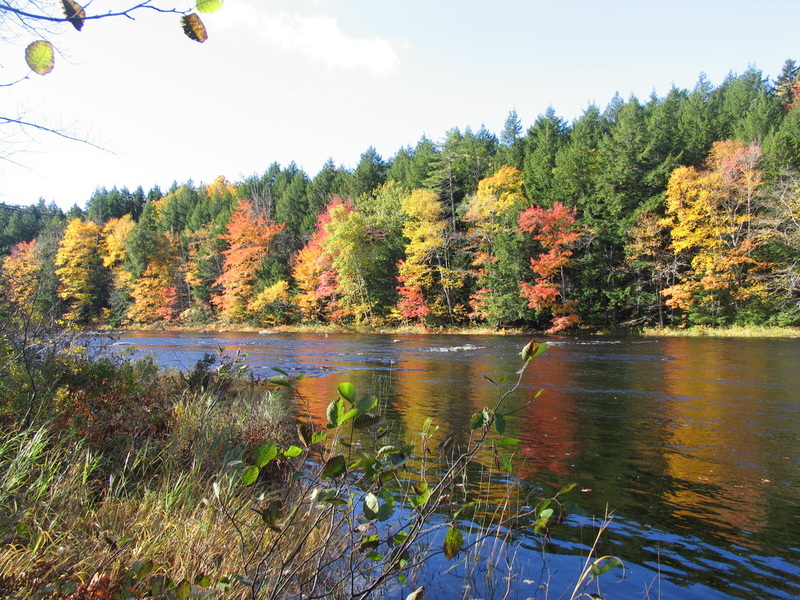 The 200-acre Acadian forest opens one to natural beauty and tranquility seldom experienced anywhere. Let the sounds and silence of nature sink into your bones as you wander by foot or bike on and off the 22 kilometres of forest trails. The Great East Gardens. Enjoy the 26-year-old permaculture garden and orchards along Wentzell Lake. This diverse food-growing landscape is a beautiful place to wander and rest in the midst of countless species of other living beings. 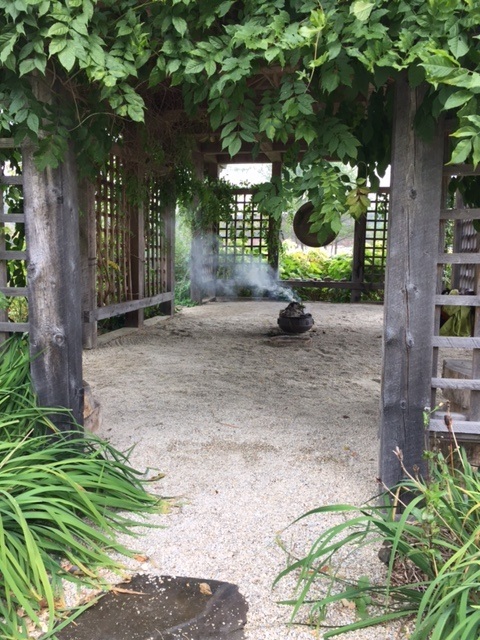 In the centre of the gardens is a large covered arbor with a gong and central fire pot. This is a wonderful place for conversations among old friends or new acquaintances. Mother Maple. Rest in the power of this ancient Sugar Maple rooted in a clearing in the heart of the forest. The Forest Gong and Kami Shrine. On Sweetwater Brook, beside Drala Pool, stands a hemlock structure built in the tradition of Japan’s Kami shrines. It brings one's attention to a naturally, sacred place. Make your presence known by ringing the gong and connect with the unseen beings of the forest. Wentzells Lake. Take full advantage of being on the shores of Wentzell Lake. Swim or paddle when the surface is liquid; skate when the ice is thick. Wood-Fired Sauna. If you're staying overnight here, a real treat at the end of the day is to take a sauna; you can alternate between a very hot inside and a cold dip in the pond outside. Fire Circles. There are several favourite fire circles on the land, all available for gathering around for music, conversation or just being at the fire. The High Meadow. A place of celebration, the high meadow is a delightful destination, day or night. 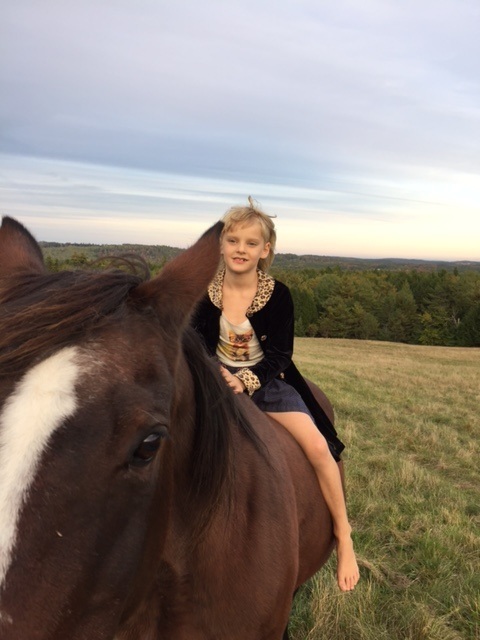 You might find a horse there; it is where they spend their summer vacations. The Apiary. Bees are important at Windhorse, and they are delightful animals. They pollinate the food plants and, in the process, they collect more nectar than they need to make honey for their long winter inside the hive. Ask for a bee tour. The Office Shop. There are many items for sale: honey, wood products made in our wood shop, a small and intriguing selection of books related to our work at Windhorse, locally made soap, candles and a very safe and effective herbal insect repellent. Composting Outhouses. Believe it or not, our outhouses are worth a visit! Many guests are astounded by just how different our natural composting outhouses are from your run-of-the-mill chemical filled port-o-potty. Sawdust from the woodshop keeps odors at bay, and instead of contributing to waste and using water, we end up with excellent “humanure” for the nut trees.